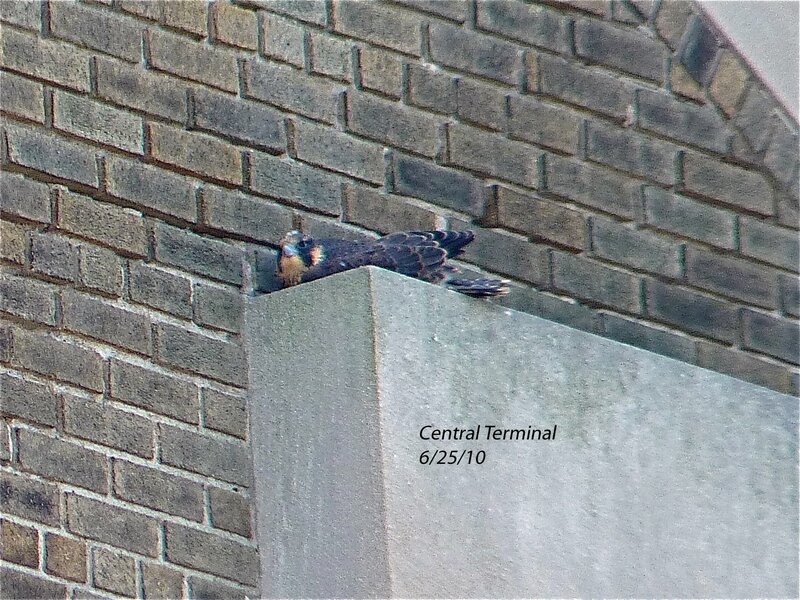 Buffalo is exploding with new Peregrine falcons lately, and the latest five are starting to leave the nest this week! It's difficult to see them all in one pic, but both parents, Stash and Stella, plus their fantastic five kids are accounted for here! While back at the nestbox the next to go are watching intently!